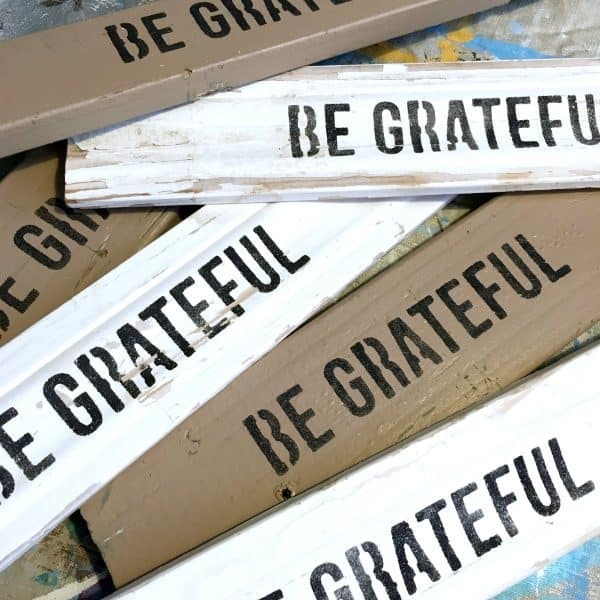 Today I’m going to show you how to make a simple BE GRATEFUL sign. 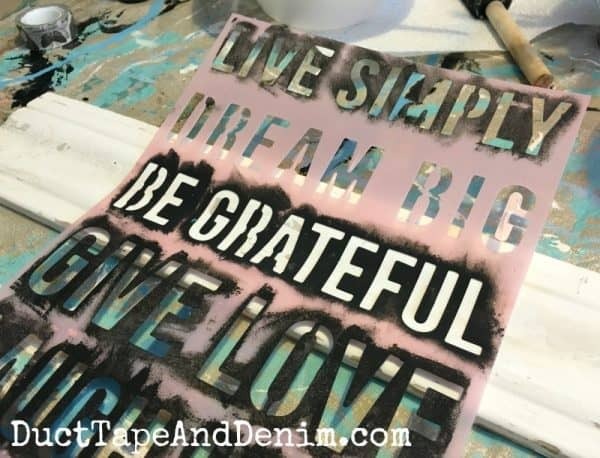 These are great reminders and super inexpensive! In fact, these didn’t cost me anything. I made them out of leftovers from other projects. But even if you have to buy supplies you can make a LOT of signs for gifts and just spend a few dollars. 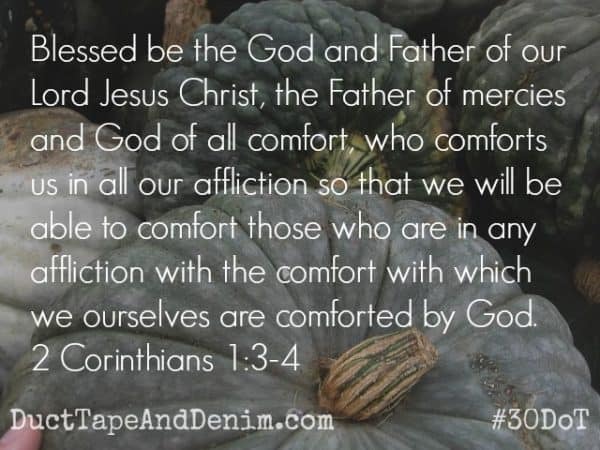 First, let’s do our 30 Days of Thanksgiving reading… then we’ll get to the project. This is one of my favorite new songs! wood scraps – I found mine on the side of the road while I was out walking! This is my typical set up when I paint. 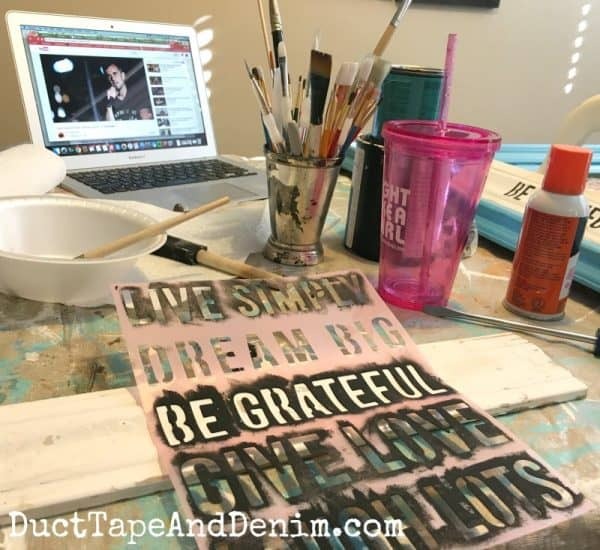 If I’m painting alone I use the time to catch up on my YouTube channels! And I try to ALWAYS use a cup with a lid. I’ve stuck my paintbrush in my drink too many times! First, I sprayed the back of the stencil and waited 5 minutes. That makes a temporary bond instead of permanent. Then I just pounced a little of the black paint on and pulled off the stencil. Easy peasy! Write 5 things you’re thankful for in your journal. 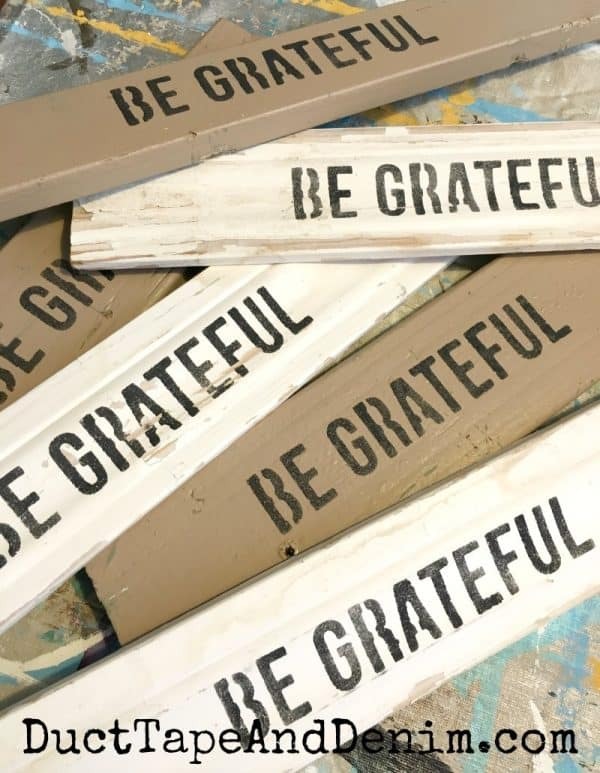 Make a “Be Grateful” sign out of wood or any other scraps you have around your house. Share it in our #30DoT Facebook group.